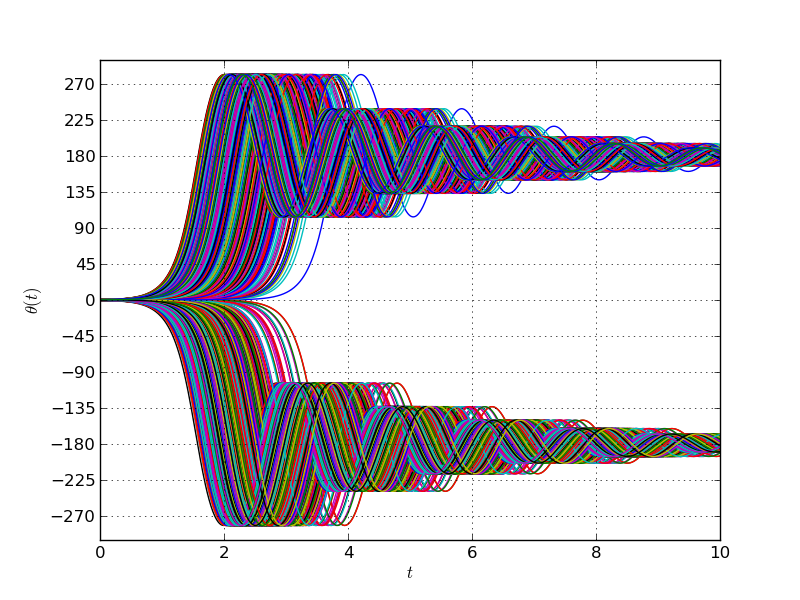 The example is coded in python and solved using the odeint solver available in scipy. Here is an example response for a given nonzero initial condition. -About half of the the pendulums swing to the left and the other half to the right. This would result in a bimodal distribution and is a mere artifact of the mathematical model used. Indeed, what the model perceives as two distinct equilibrium points are actually the same position for the pendulum. This arises because of the periodicity in the \(\sin()\) function. 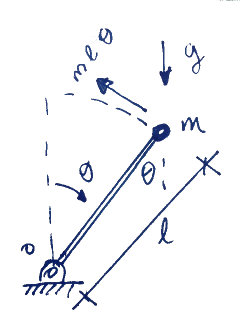 From this set of motions a PDF may be computed for each time and animated to show the evolution of the PDF with time. The bimodal distribution obtained at the end is, therefore, an artifact, as the peaks correspond to the same final configuration for the system. In a more complex case it might not be possible to distinguish between peaks in PDFs which are real, ie. correspond to physically different configurations, from those that arise from deficiencies in the mathematical tool used. 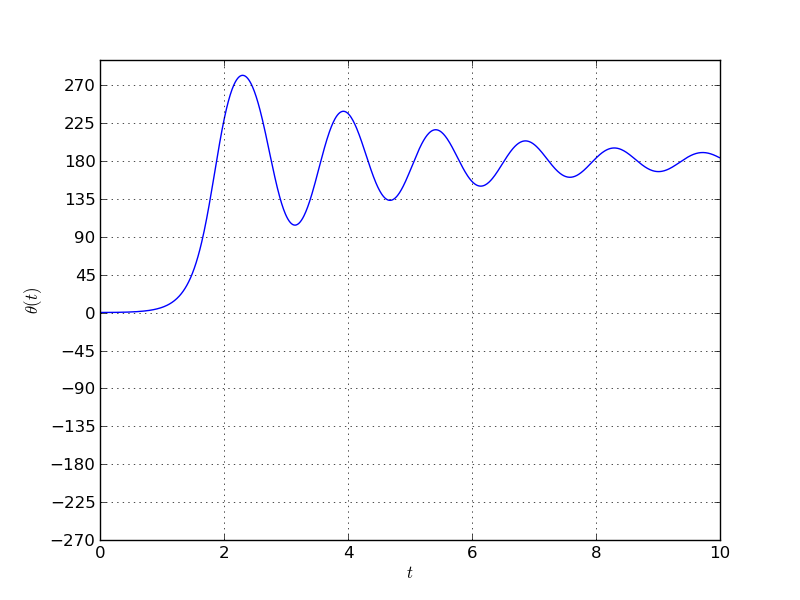 These spurious peaks generate unrealistic dispersion in the distribution of results. Is there a way to identify them and get rid of them? The following python code produces these results.